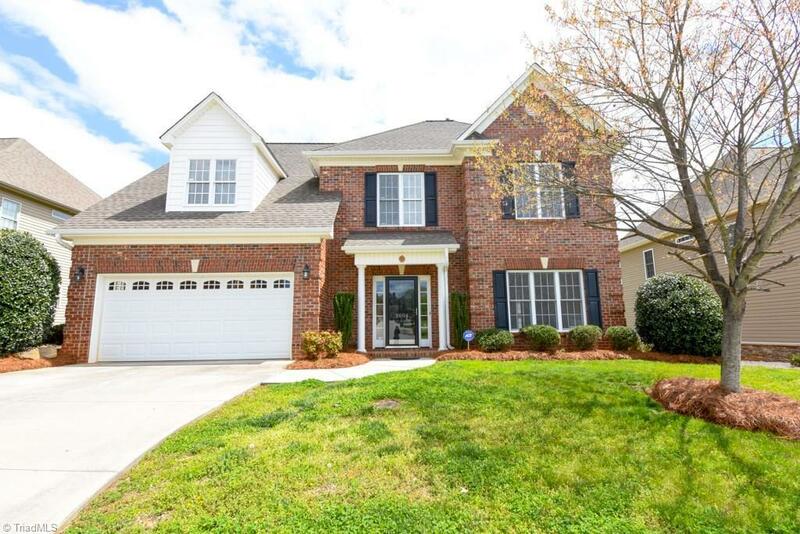 3004 Cameron Village Court, Winston Salem, NC.| MLS# 914076 | North Carolina Farm and Vineyard Specialist Patria Properties Inc.
Gorgeous 2 story Brick Home in Popular Cameron Village! Features include: Granite countertops, stainless appliances, island, and tiled backsplash in eat in kitchen; Bonus room off kitchen for office/playroom/den; Main level laundry; Fresh paint; Built ins and Fireplace in LR; Huge master suite with walk in; Double vanity in master bath with separate shower; Loft; Deck; and 2 Car Garage. Desirable West Forsyth District! Convenient to Shopping and Hwy 421. Call today!